Today, on a manual handling course I heard how someone threw a stick for a dog and sustained a disc injury. The good news is that the dog was unharmed. On a serious side however, it just goes to show the importance of having an awareness of how not to injure yourself when lifting or moving objects. 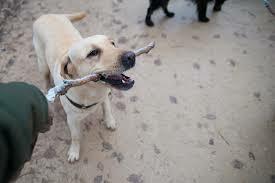 Even if it’s just a stick! Manual handling training teaches techniques for properly assessing risk and moving objects correctly to help avoid injury. If you would like to do a manual handling course or are part of an organisation that values the importance of teaching your staff the principles of manual handling, contact us here at Mark Dodd Driver & Safety Training to book your course.